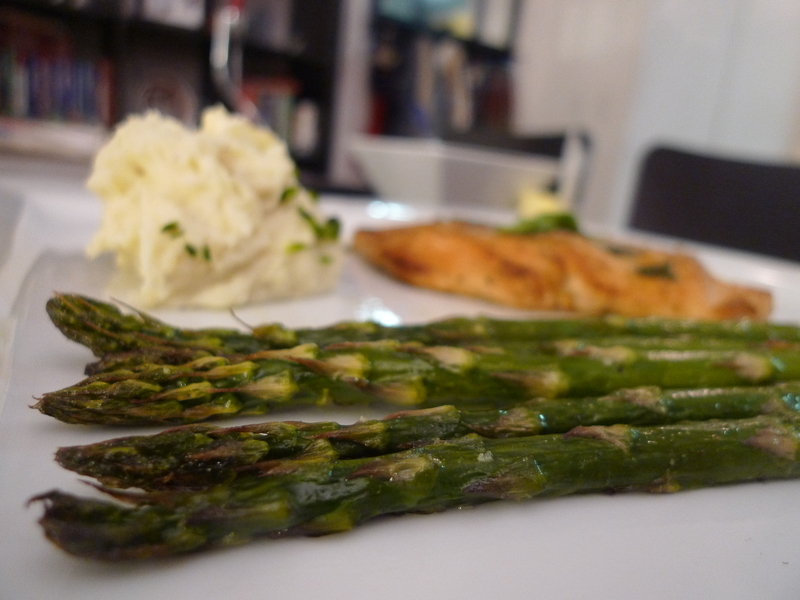 Asparagus is a spring vegetable that is in season mid-April to June. It is bright green, tender, sweet, and is a great balance to rich, savory and salty foods. I usually serve asparagus with my Baked Chicken with Sun-dried Tomatoes and Artichokes and so I decided to roast some asparagus to serve with another chicken recipe: Thomas Keller’s Sautéed Chicken with Tarragon. I figured I could use a similar method I did for my Roasted Brussel Sprouts. Of course, both of these recipes would be fantastic grilled, but as I have only a mini George Foreman Grill… that culinary chapter shall have to wait. For now, my trusty oven does the job quite well! I also served this with in place of grilled asparagus for another Thomas Keller recipe: Grilled Asparagus with Prosciutto, Fried Bread, Poached Egg, and Aged Balsamic Vinegar. Another way I like to cook asparagus is to sauté it with mushrooms: Sautéed Asparagus with Mushrooms! Preheat oven to 425°F. Line a baking sheet with foil. Snap the tough base ends off the asparagus. 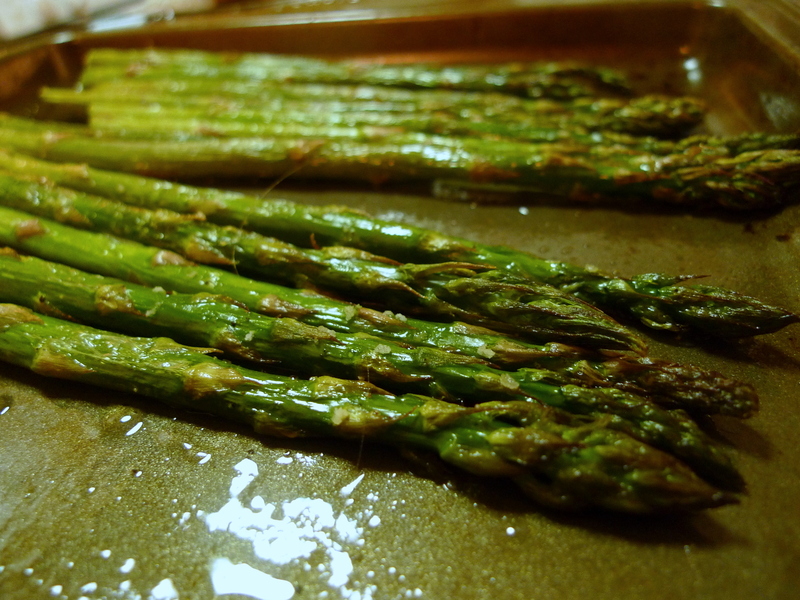 Spread the asparagus stalks on the baking sheet. 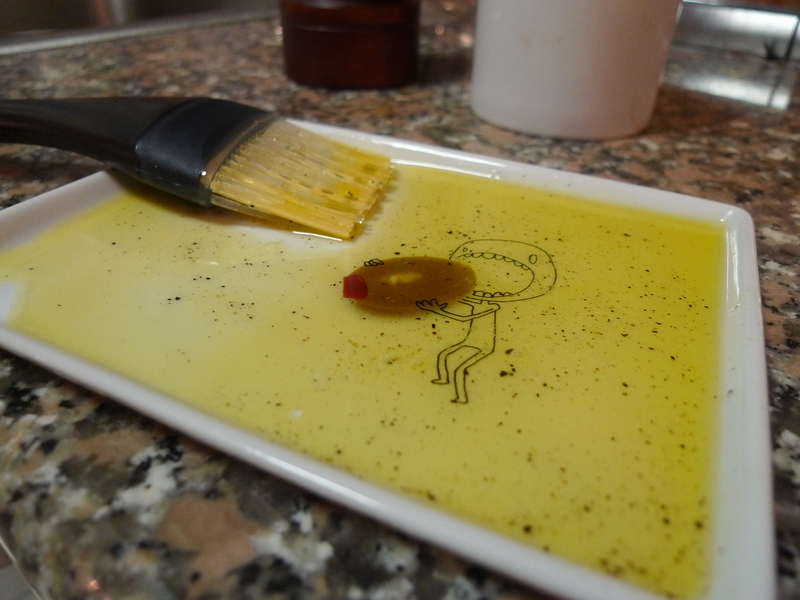 In a small bowl or dish, mix together the olive oil, salt and pepper. 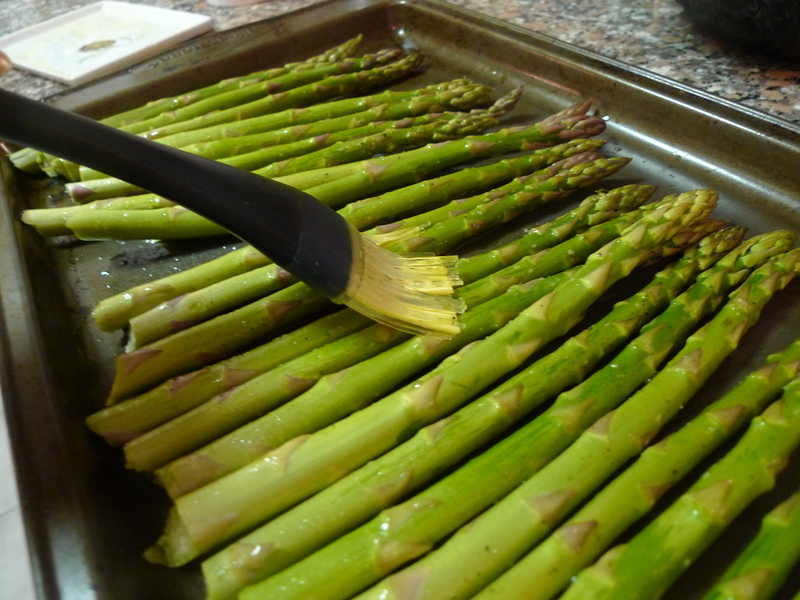 Brush the seasoned oil mixture onto each of the asparagus stalks, coating evenly. Roast in the oven for 10-15 minutes, until crisp on the outside and tender on the inside. Shake the pan every 5-7 minutes to brown the stalks evenly. Serve immediately and enjoy! Try serving with your favorite poultry dish like Sautéed Chicken with Tarragon or Baked Chicken with Sun-dried Tomatoes and Artichokes. Or try it with Prosciutto, Fried Bread, Poached Egg, and Aged Balsamic Vinegar for a savory, warm salad.